Your journey to the Oracle Cloud starts with Fishbowl Solutions. The Oracle Cloud enables organizations to streamline operations and reduce costs by moving on-premise software versions to the cloud, quickly developing new applications, or setting up a powerful and redundant server infrastructure. 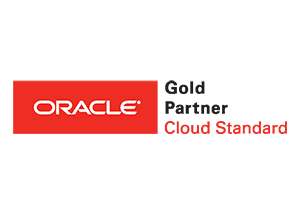 Fishbowl Solutions provides Oracle WebCenter to Oracle Cloud migration consulting services. We help organizations map out their Oracle Cloud journey and execute on their vision, based on the business problems they are trying to solve. Take your on-premise WebCenter instances and move them to the cloud without modifying their design. This is a good option for customers that are looking to save on the costs of maintaining and supporting their own physical infrastructures, as well as customers that want to consolidate their numerous WebCenter instances. A Hybrid Cloud leverages a mix of on-premises software and private cloud services. The benefits of a hybrid cloud include the ability to move between on-premise and private clouds as computing needs and costs change. WebCenter customers could keep their production instance on premise and move development and testing to the cloud. If your organization is looking to deploy new business applications, the cloud presents many viable options and comes with the inherent benefits of cloud computing. For example, on premise WebCenter Portal customers could utilize Oracle Content and Experience Cloud to quickly spin up a new human resources microsite for volunteer opportunities. 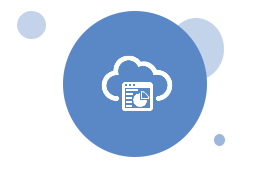 Consider your WebCenter to Oracle Cloud migration options. The Oracle Bare Metal Cloud Service is Oracle’s next generation of physical cloud infrastructure. It is effectively a public cloud that provides organizations with more granular control over security and predictability. With the Oracle Bare Metal Cloud Service, Oracle recognizes your existing licenses of Oracle WebCenter, and allows you to install them as you desire. Your organization will still administer the system, including changing configurations as your requirements change. The Oracle Compute Cloud provides flexible and scalable computing, block storage, and networking services to run your Oracle software applications on. Like Oracle Bare Metal Cloud Service, your existing Oracle WebCenter licenses can be transferred to an Oracle Compute Cloud instance. The Oracle Java Cloud Services enables organizations to build a multi-tiered environment with their choice of components. It provides a full operating environment including an Oracle WebLogic Server. With Oracle Java Cloud Service, customers maintain complete control and customization of their environment and underlying infrastructure. Like Oracle Bare Metal Cloud Service and Oracle Compute Cloud, you can install your existing WebCenter licenses on the platform. Unlike the other options, Oracle Java Cloud Service requires less overall administration overhead. Oracle WebCenter Portal Cloud Service is essentially Oracle WebCenter Portal in the cloud, but it can also serve as the replacement for organizations using the on-premise versions of WebCenter Content and Portal. It runs on top of Oracle Java Cloud Service and Oracle Compute Cloud, and metered or non-metered licenses can be purchased. Focused services for any point along your cloud journey. A focused and committed partnership. Fishbowl Solutions has been an Oracle partner for over 17 years. During that time, we helped hundreds of Oracle WebCenter customers leverage the system to manage, distribute, and retain their high-value content. As the business needs of managing content changed and the technology evolved, Fishbowl expanded its knowledge base so that we understood the Oracle Cloud options available. Fishbowl is committed to sharing this knowledge with WebCenter customers. Start your cloud journey today. Contact us to schedule a cloud assessment and discovery session, request Oracle Cloud information, or learn more about how Fishbowl can help you start or evolve your current cloud projects.